A drug already approved for leukaemia patients could also be used to treat a specific type of ovarian cancer, according to new research. Scientists from The Institute of Cancer Research, London found that ovarian cancer cells in mice stopped growing after they were given a drug called dasatinib. The research, funded by Cancer Research UK, was published in the journal Molecular Cancer Therapeutics on Thursday 30 June 2016. 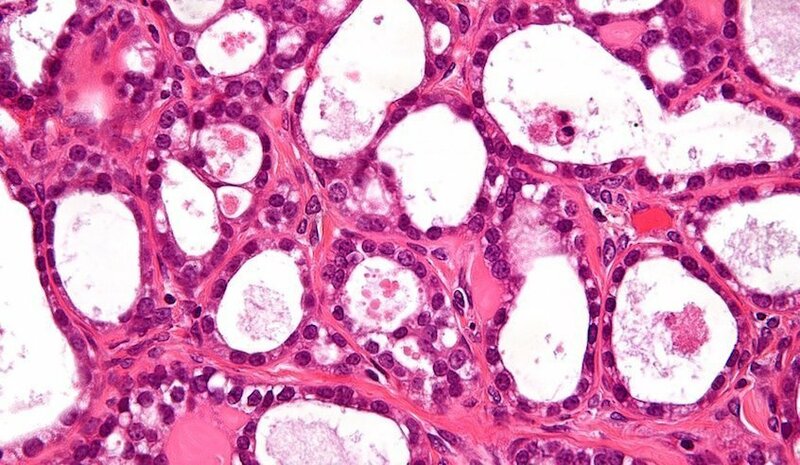 The researchers discovered that a faulty gene could potentially be targeted to treat patients who had been diagnosed with ovarian clear cell carcinoma – a subtype of ovarian cancer which makes up 5-25% of ovarian cancers. Cells with this gene mutation continue to grow in a way that healthy cells with the non-mutated form would not. The drug dasatinib helps to control this process by stopping the cancer cells from growing any further. The mutation is found in around half of patients diagnosed with ovarian clear cell carcinoma. Researchers don’t yet know exactly how it is linked to cancer. This study tested 68 different drugs on cancer cells with and without this gene mutation before finding that dasatinib stopped growth in cells that carried it. In studies in mice, they then showed the drug could stop tumours with the mutation from growing. In the UK, more than 7,200 women are diagnosed with ovarian cancer each year and 300 of those are diagnosed with ovarian clear cell carcinoma. Dr Chris Lord, leader of the Gene Function Team at the ICR, said: “All ovarian cancers are difficult to treat – and that’s particularly the case for this type, which is often resistant to chemotherapy. In our study, we found a drug that could be effective in a group of patients who carry mutations to a particular gene in their tumours. Professor Peter Johnson, Cancer Research UK’s chief clinician, said: “Unfortunately ovarian cancer is often diagnosed when it has grown too far to be completely removed by surgery, which is why we need new ways to tackle it. This entry was posted in Cancer, Cancer Research, Science, Uncategorized and tagged cancer, Cancer research, research.